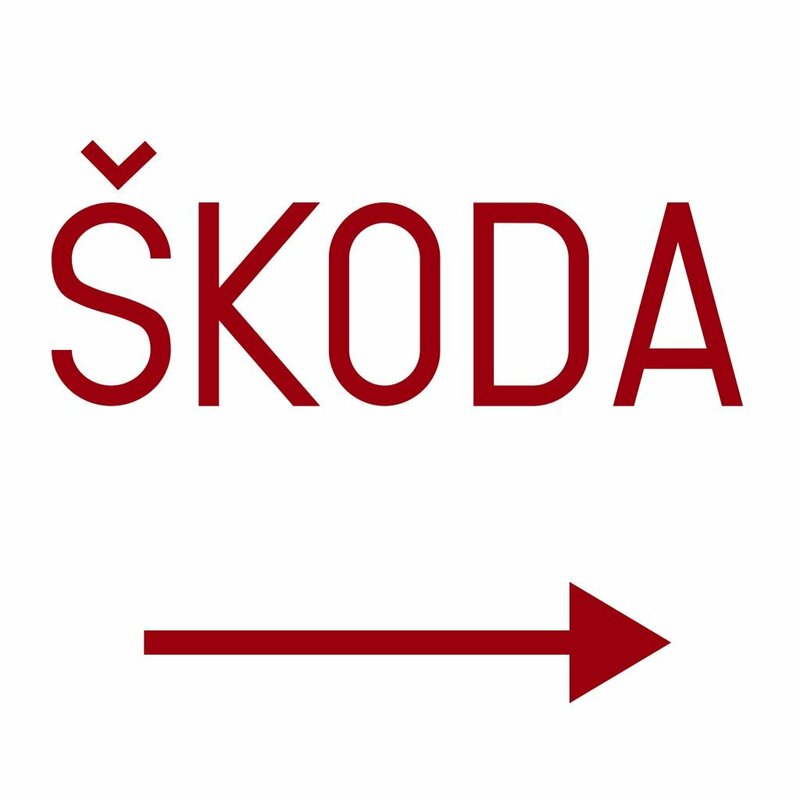 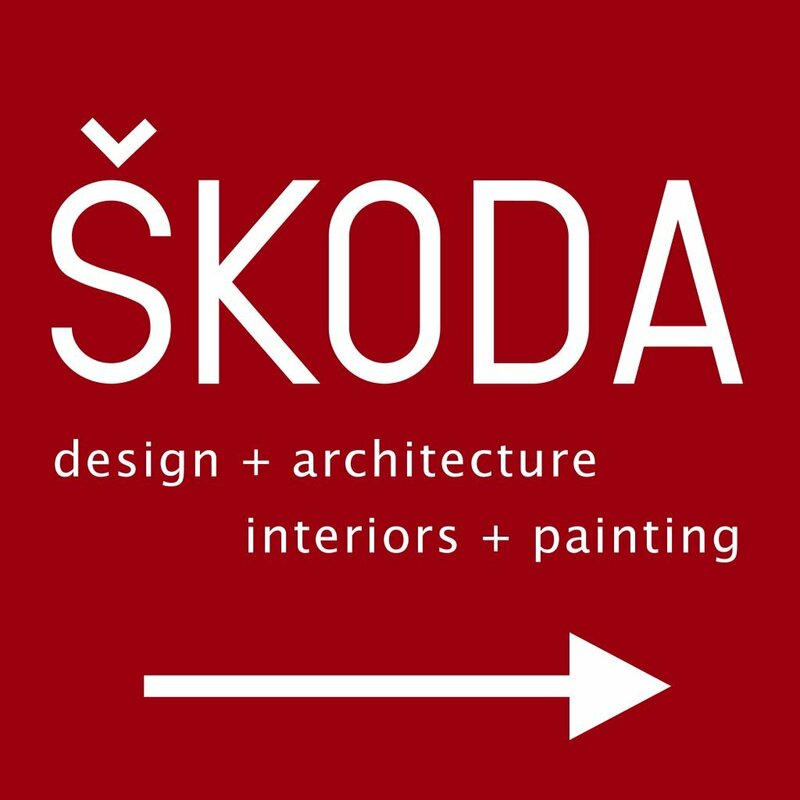 When Skoda Design + Architecture (a client I’d worked with before) needed a super-fast turnaround on a tiny job, they reached out to me for help. 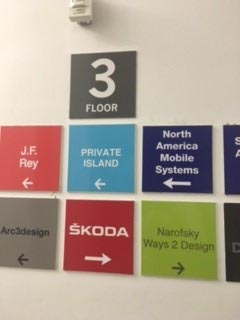 They recently moved to a new office building and the generic hallway sign produced for them “looked like it was for an auto-dealership” not a design firm. 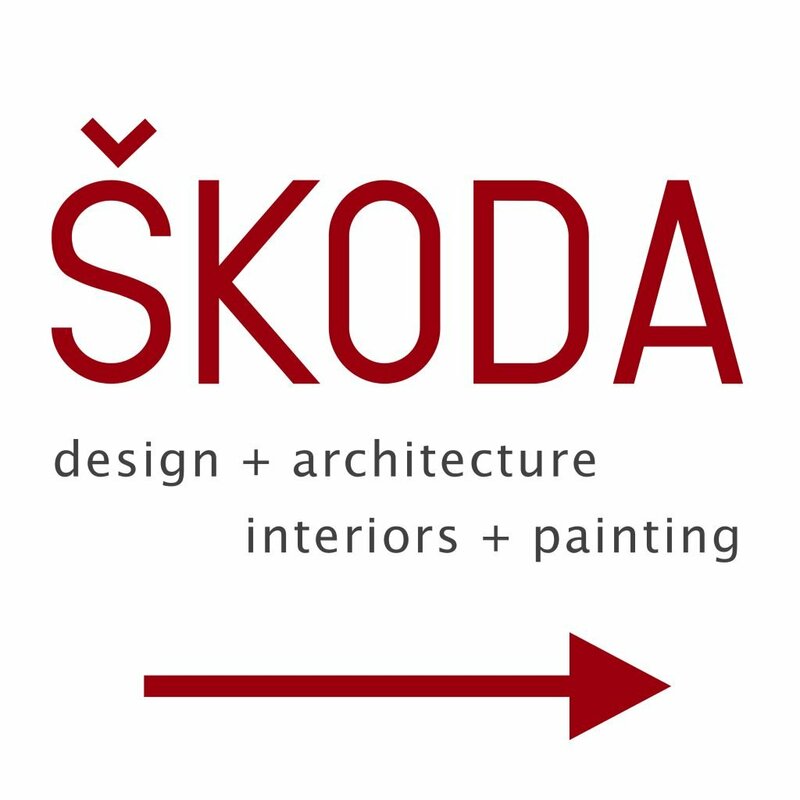 Since I had worked on their logo (years ago) I had the design files with their trademark fonts and colors and was able to produce four alternative sign designs styled in keeping with their corporate identity. 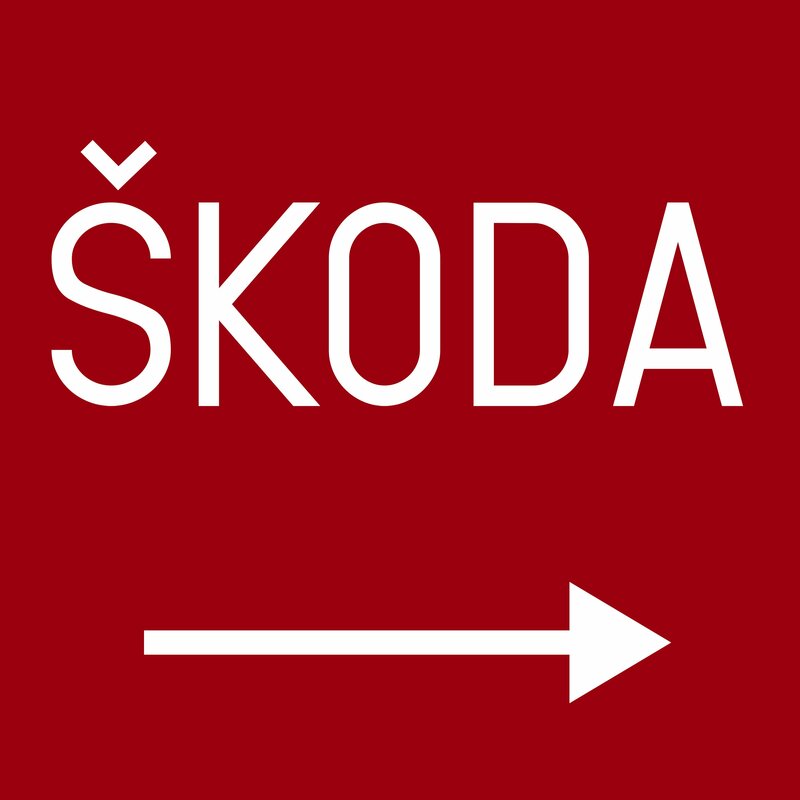 They made an ugly sign for our office! Business Card with proper fonts & colors for reference.